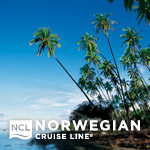 NORWEGIAN CRUISE LINE - Win a Free Cruise to Bahamas + Enjoy 7-Night Western Caribbean Cruise from $499!!! 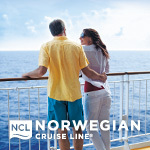 Enter to Win the Free Cruise to Bahamas + Featured Norwegian Cruise Line Cruises from $449 !!! 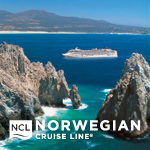 CLICK HERE: Cruises OR THE FLYER BELOW TO BOOK ONLINE !!! 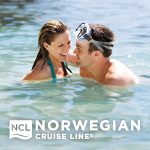 Prihlas sa a Vyhraj Plavbu na Bahamy Zadarmo + Akciove Plavby od Norwegian Cruise Line od $449 !!! OBJEDNAJTE SI ONLINE TU: Plavby ALEBO KLIKNITE NA LETAK PONIZE !!! To keep you up to date with the latest cruise news and specials available, Expedia CruiseShipCenters is conducting its annual newsletter review. This is to ensure you have the opportunity to subscribe to any of our free newsletters that appeal directly to your travel interests. 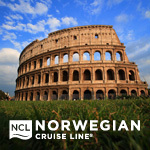 When you update or verify your newsletter preferences, you’ll also be entered to Win 1 of 25 free cruises to the sun-soaked Bahamas onboard one of Norwegian Cruise Line’s spectacular ships! To enter, just spend a moment to update your 7SEAS Club profile by clicking below – it’s that simple! Don't miss out – enter to win 1 of 25 free cruises today! Plus, reserve your Expedia Exclusive Stateroom for even more savings today and take advantage of spectacular Expedia Extras! Offer Details: *Restrictions may apply, please visit our website or contact your Vacation Consultant for more information.